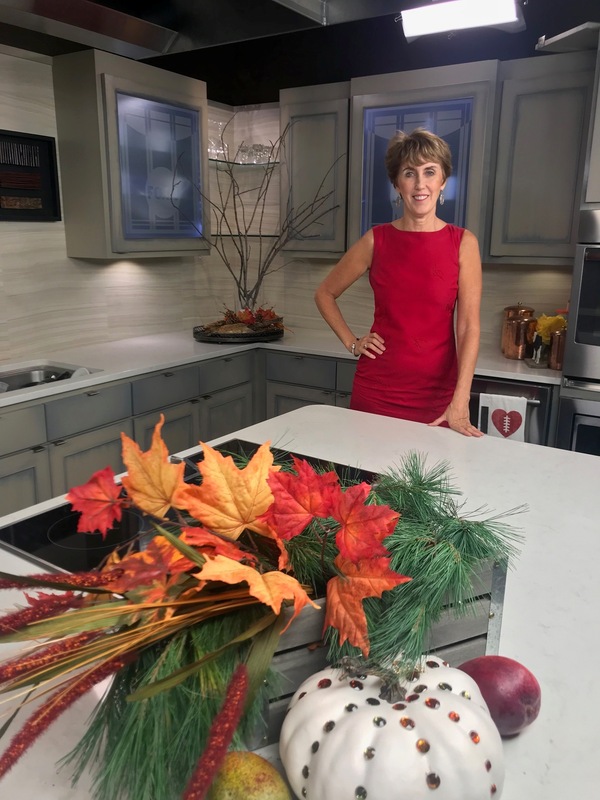 A couple of weeks ago I did a live TV segment on Fox4 TV where I shared tips for fall decorating using natural items from outdoors from the perspective of an interior designer. 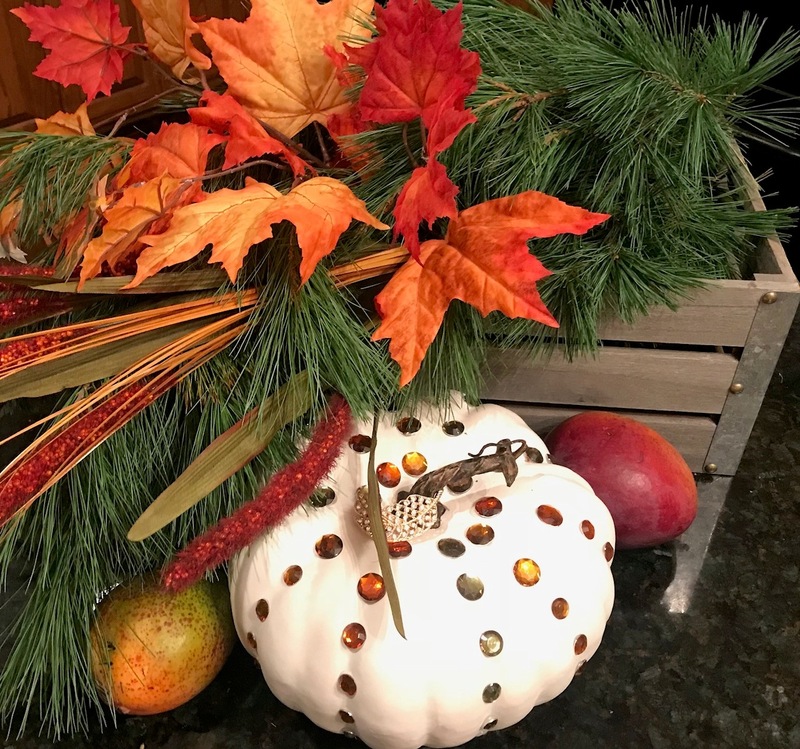 Of course the foliage hadn’t started to turn yet here in the mid west so I had to inject some rustic color foliage from the store to create the look of what can be done. 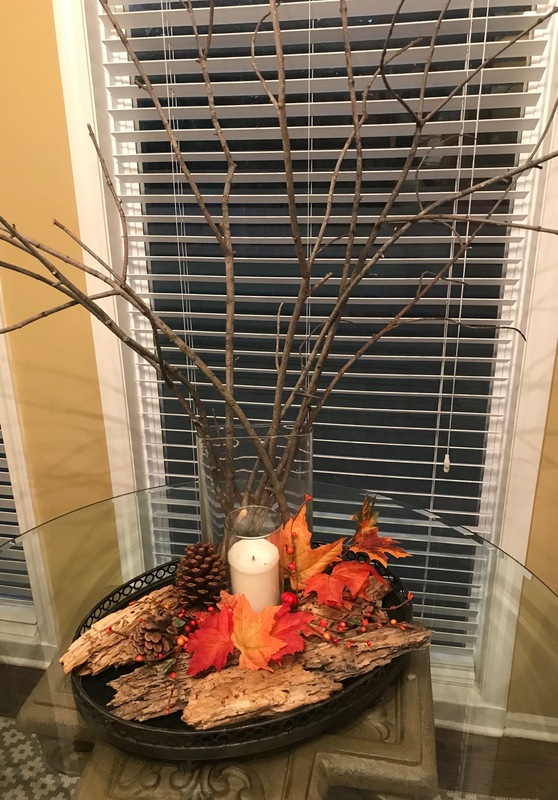 To recreate this lovely fall decor piece start with a container you have around the house that coordinates with your home. Then cut some evergreen branches and fall color leaves from nearby trees along with other interesting additions you find along the way. I added a couple of mangoes that I already had on my counter for additional color along with a beautiful white pumpkin that my friend Marilyn Beebe decorated for me a couple of weeks earlier. Here’s another of Marilyn’s fun creations. Here’s a closeup of the fun tabletop decoration we did. First I grabbed a clear vase and filled it with barren branches I got from the woods.  Then I placed the vase of branches on an existing tray and filled the bottom with pieces of a decaying log and pine cones I discovered while traipsing through the woods and topped it off with leaves and berries.